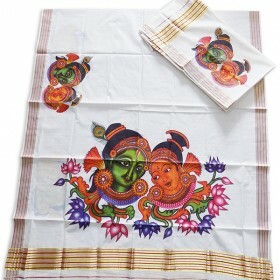 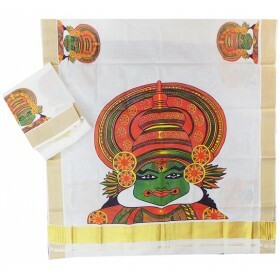 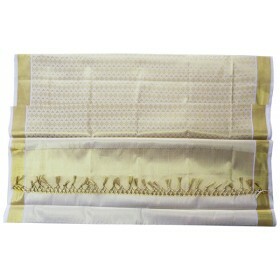 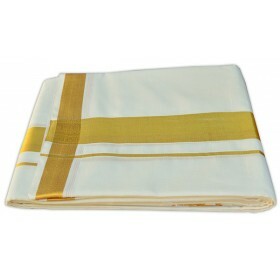 Kerala Traditional Kasavu mundu with trendy Radhakrishna mural print design is at Malabarshopping Co..
Kerala Kasavu Tissue Settu Mundu with 3 inch pink and golden stripe horizontal border gives the roya..
We are bringing a new traditional model for pure cotton Kerala saree with hand painted having double..
Block kalamkari designed kerala kasavu settu mundu with golden rich border on pallu.Along with Kalam..
For the modern world we are introducing a variety model of Kerala saree with enrich hand painted design. 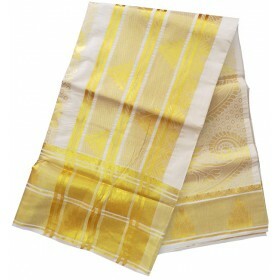 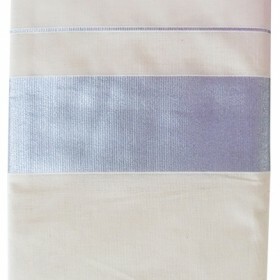 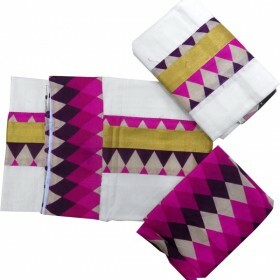 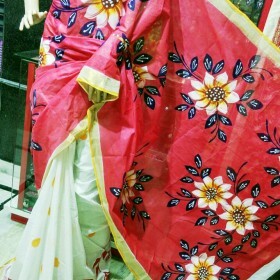 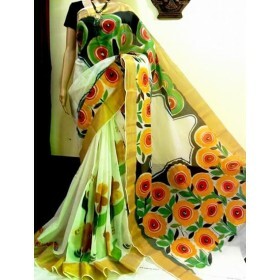 When we wear this double shaded saree it looks like a half saree, for saree lovers to give a new look. 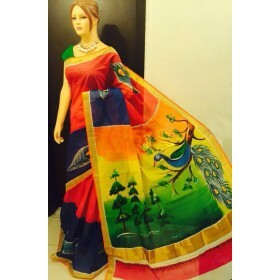 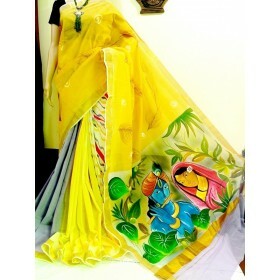 It has yellow and pink contrasting color combination along with hanging floral and leafy hand painted design on its top fleet and pallu which makes gorgeous. 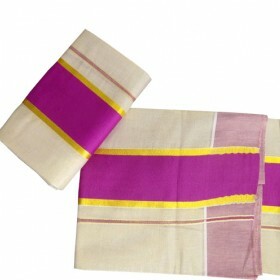 Bottom fleets have pink floral hand painted design along with violet dots on yellow background gives a simple look for our Kerala traditional saree. 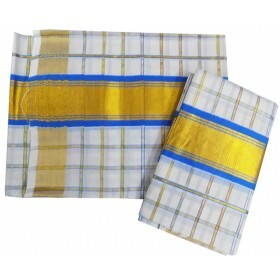 This can used for any special occasion to make you best.